Ice cream and cake and cake!! I got home today. 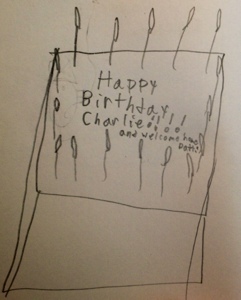 My friends hosted a huge party for me and Charlie (it’s Charlie’s birthday).